Michael Schiffer edited a series of annual edited volumes (Advances in Archaeological Method and Theory, and later Archaeological Method and Theory) in 1978–1993 “to cope creatively with the proliferation of topical specializations in archaeological method and theory” (Schiffer 1994:1). When he shifted publication to a journal format in 1994 as Journal of Archaeological Method and Theory, he envisioned it as “a home for substantial syntheses, including some that approach monograph length” and also “contributions to the history of archaeology, method- or theory-focused case studies, and significant explorations on the frontiers of method and theory” (Schiffer 1994:2). These publications were always intended to “enhance all theoretical archaeology,” not simply Schiffer’s own theoretical program of behavioral archaeology, “by showcasing its best products and making them widely available” (Schiffer 1995:18). The importance of peer review and extensive revision was emphasized for both the original book series and the later journal (Schiffer 1994, 1995) because “it could help an author transform a promising draft into a paper that achieved excellence” (Schiffer 1995:18). Cathy Cameron and James M. Skibo, the previous co-editors of the journal, assumed that role in 2000 until the end of 2018. Their vision was consistent with that of Schiffer, as the journal continued to present original articles that address method- or theory-focused issues of current archaeological interest and represent significant explorations on the cutting edge of the discipline. The journal under Cathy Cameron and James Skibo’s leadership has remained flexible to changes in the discipline. Papers throughout the journal’s history have focused on topics of interest to processual, behavioral, or evolutionary archaeologists, addressing a wide variety of themes, methods, and theoretical frameworks aimed at improving our reading and explanations of the past and the dynamics of cultural change. Thanks to Cathy Cameron and James Skibo’s remarkable editorship, JAMT has provided high-quality papers and has become one of the highest ranked journals in archaeology. 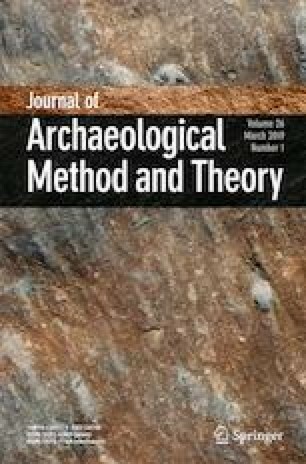 As the new co-editors of Journal of Archaeological Method and Theory, we strongly believe there is still an important place for this journal, even as it approaches its 25th birthday in this format (in 2019). We will continue to solicit significant original manuscripts that address timely, relevant issues in archaeological method and theory, as well as critical topical syntheses. Of special interest will be articles using case studies to address (1) methodological issues related to the analyses of archaeological data with the ultimate goal to renew and obtain solid interpretations or (2) theoretical issues on major anthropological and historical phenomena, such as change and the evolution of material culture and human societies. There will be room for different scale approaches in order to reflect upon innovative multilevel analytical works relating individual actions, anthropological regularities, and cultural historical specifics. In this perspective, we intend to publish not only papers covering different chrono-cultural areas but also actualist studies led in present-day societies and mobilizing different disciplines so as to study mechanisms explaining anthropological phenomena. There will be also room for epistemological papers questioning the founding of our scientific constructs. Going forward, we reiterate the previous editorial line and will exclude articles that focus on regional case studies, on the details of analytical tools without any broad methodological or theoretical perspectives, and on the details of cultural heritage management (rather than larger issues surrounding the interpretation of cultural heritage). The editorial board is composed of new and old members, Americans, Canadians, Europeans and New Zealander, representing different aspects of the discipline and practicing equally different approaches. They will play a decisive role in the spirit of the editorial line, which is before all to welcome “all theoretical archaeology”.